Add the 3/4 of sugar gradually. Add vinegar and one teaspoon of vanilla essence to the last ¼ of sugar. Add teaspoon of cornflour and pinch cream of tartar, mix together while beating. Prepare an 8 inch round pan, well greased. Then apply mixture to pan - building up the sides. Add pavlova - cook for 3 minutes only. Leave inside oven and remove once oven is cold. Okay to leave in oven overnight. 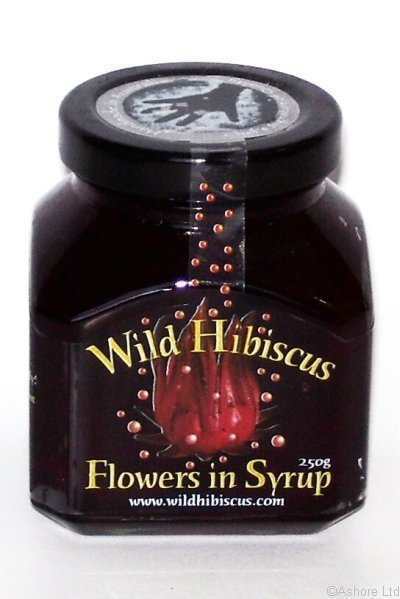 Fold 2-3 tablespoons of the Wild Hibiscus Syrup through 1 cup mascarpone or crème fraiche. Don't overmix or you will lose the swirl effect. Spoon mixture onto pavlova and drizzle with a little more of the syrup. 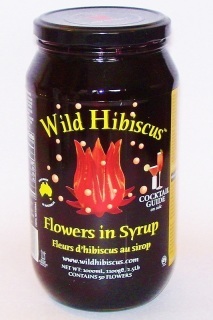 Crown with Wild Hibiscus Champagne Buds and spoonfuls of fresh passion fruit pulp. A Bulk 1.1 kg Catering jar containing 50 Queensland wild hibiscus flowers in Syrup. SSecure Visa & MasterCard checkout plus Apple Pay & Android Pay options (where applicable).